Removes any size stump and reduces it to woodchips. If you need to remove tree stumps from your garden or other areas of your property, the DR Stump Grinder will make the job easier thanks to its 8 steel teeth which quickly and effortlessly grind the tree stump away. This powerful tree stump removal machines offer a great alternative to resorting to larger heavy duty machines such as a tractor or digger. 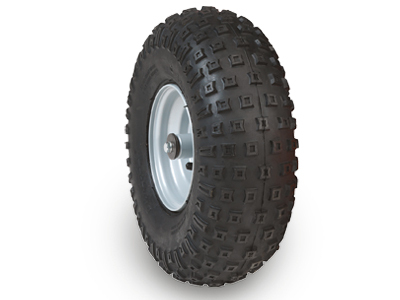 It's compact dimensions and large wheels make it easy to manoeuvre to and from the working area. 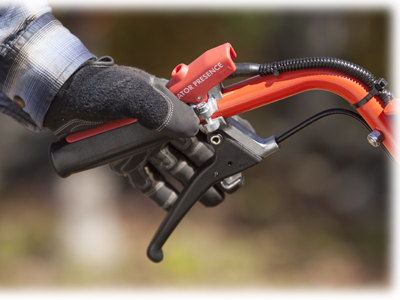 The DR PRO Stump Grinder is easy to operate. 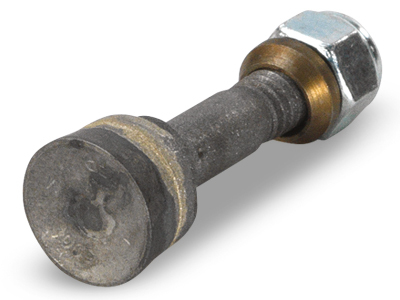 Simply position the cutter teeth over the tree stump, lock the left wheel with the brake, engage the cutter head and pivot from side to side. The cutter head features 8 steel teeth that are tipped with mining-grade tungsten carbide, a material 10 times harder than steel and which is used for drilling through bedrock. Spinning at 2800 rpm, these teeth take a remarkable 360 "bites" per second! 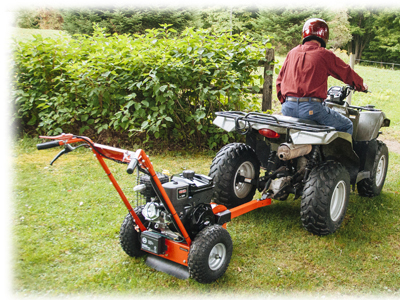 Hitch up the DR Strump Grinder to your ATV or lawn tractor and tow the machine to the working area. 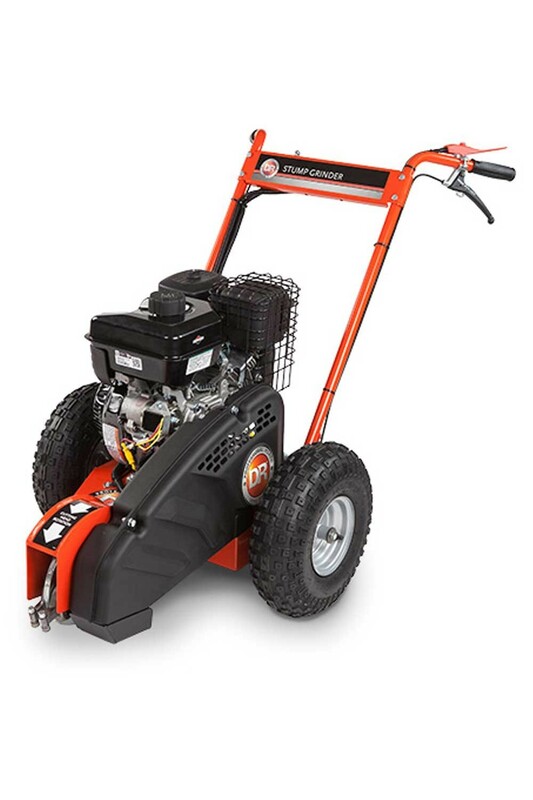 With lugged, high-flotation tires and a lightweight design, the DR Stump Grinder is easy to transport to any stump on your property and because of their size, the tyres keep the machine elevated over the growing wood chip pile as you grind a stump away. 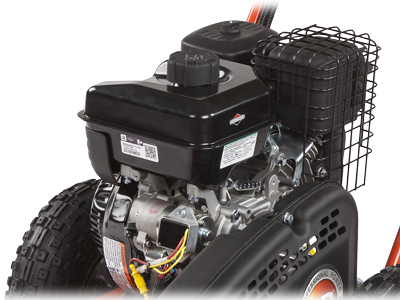 The compact overhead valve design of the Briggs and Stratton 1450 Series engine enables it to run cooler and cleaner, delivering increased power, longer engine life and improved fuel economy.